The on-demand food delivery app development market is steadily growing and innovating, much like its rideshare cousin. Developing a successful on-demand app food delivery for restaurants can be quite a challenging method as they should perform in the best way for both consumers and cuisine owners and also somehow operate the delivery process. Indeed there are many other factors to keep in mind when developing the on-demand food delivery app. How to make revenue in the food delivery business? Food delivery on-demand apps alike UberEats, GrubHub, and Zomato combine both consumers and cuisine owners that the world loves on one platform – comfort and food. In this, the whole process of food ordering is not just restricted to only one cuisine, on-demand food delivery mobile applications are headed to be an instant hit among an immense pool of mobile app users, no concern what demographic they belong. Check out some statistics to prove that. The fact is that the on-demand food delivery apps have become such instant apps for the app store and play store pleaser have granted them as a business idea that is intended to succeed. A fact that has left an open question in the app market – how much the cost to build an on-demand food delivery app like GrubHub or UberEATS. Before moving to the on-demand food delivery app development cost, let us look into the potential customers of the market who are going to enter into the On-demand food Delivery app development. The on-demand food delivery app continues to keep progressive growth, which you could have noticed during the last years. It is validating how the comfort of dinning is bringing a rise in the online food ordering system. Some of the researches have shown that there is a massive growth of 79% in the online food delivery market than its present state. It also indicates the rate at which the demand for online food delivery industry is rising is a sign of how fast the hiatus between online and offline is closing in a matter of few years, and online demand will excel the offline market. The graph above tells how on-demand market will be growing in the next 4 to 5 years. As it is clear that the food delivery market is huge let us dive farther into the idea as a whole, starting with the on-demand food delivery app types. There are two major food delivery startups models actively ruling the online food delivery market. Let us explore which platforms are feasible to create a food ordering app. The Aggregate food Delivery app – This model is based on the traditional food delivery system. In this, the app serves as the purposes of connecting the restaurants and their customers. The app acts as a marketplace where the restaurant offers their services and customers choose and pay for them. Here the restaurant will select the most convenient way of service to deliver the order. Food Delivery app with logistics support – In this model, there is a third group of users of your app – the logistics services providers for delivering the order. When the application responsible for the delivery service, the restaurant no longer needs to maintain its delivery personnel. The deliveries will be arranged within the app using the on-demand service providers who have the same app. Now that we have seen the different types of on-demand food delivery apps let us now view into the brands that are driving the space. Though the market is divided among several huge brands, the market’s valuation of all the brands are on a long tangent. As we know that it must be your dream to join the list of these top brands of the on-demand food delivery app industry and why not? After all, seeing the revenue that comes by being the top-notch is massive! But for someone who wants to start up the online delivery app and are aspiring to be like them, it is essential to know how they earn and grow, how to face the challenges and what are the monetisation plans they follow. 3. How to make revenue in the food delivery business? Peak Pricing: Let us check with some example if you consider the most popular brand like UberEats set a wave pricing when the demand graph is too high. They limit the menu options and add surcharges at the time of order placement. Even if the rate of incoming demand might lower, but the per delivery amount increases to a great extent. Here is the city wise income chat look like for UberEats at time of peak pricing. Advertising: It is one way of generating a high amount of revenue. In the app home screen provide a place for the restaurants for running the video of theirs can be a good thought of generating profits. By running Google Adsense on the platform can also be a good idea of making profits. Delivery Charges: Some restaurants do not have the facility of home delivery services. If you tie up with such restaurants with your on-demand meal delivery app, they are most likely to pay you the delivery charges. Commission Charges: Commission taking from partnered restaurants for every user order is one of the time tested modes of generating revenue on restaurant-centric on-demand food ordering apps. These may lead to causing high incomes; they also help in building a long-term partnership between the brand and the associated restaurants. We have looked into the on-demand restaurant ordering app on a holistic level, and now it is the time to look at the factors that will directly influence how your meal ordering app develop and how to make a food delivery app free to reap the benefits that the whole industry offers. Let us start with the basic features that should be included in your on-demand food delivery mobile app idea. When you plan to develop an on-demand food ordering platform, either it is in the model from restaurant to user business model or you are working for the way around how to make a food delivery app like GrubHub or Zomato, you are not just making a single application but four. All these four applications will be combined all together in one app. As you are working on an app that deals with three different stakeholders – Restaurants, customers, delivery person, and admin. The features for each will vary according to their working process. Check out the functions of all the four stakeholders. We have listed the basic features that are used to develop a food ordering mobile app. now let us check the technologies that are used to create an Android or iOS app for food ordering. Now that you got everything that is required to create the on-demand food delivery mobile apps. Let us go through the challenges that are faced while handling the on-demand food ordering mobile app development solutions. Competition: This will be the biggest challenge that the entrepreneurs those who are starting with the food delivery on-demand app development. The market is fully crowded with the most prominent brands that are leading the world now. Solution: To overcome this challenge you need to come up with the features that make you stand out of the competitors both in features and ap UI/UX. You along with your food delivery app developing the company will have to find out new ways to attract the restaurants already who are the partner with others in the market. At the same time, you have to focus on providing better offerings in terms of discounts and special offers to the customers’ orders. Recognising the restaurants to partner with: Since you are just food delivery app startup, this might come as a roadblock, anyhow there is nothing to do with the cost to make food delivery app. Solution: It’s better if you focus on the low-level restaurants those need the promotion as opposed to going behind the big brands. It can also be beneficial if you focus on increasing the partner count instead of having names of restaurants. Standard UI/UX between all panels: The UI/UX design is a tough role for an on-demand food ordering app development company, this can come across problematic options as the intent of all the screens is different and specific to its users’ demand. Solution: The on-demand development company will rescue from this situation. They will come with different screens while conveying completely different intents. Now, most of the people are looking for Android app development company specialist or for iOS app development company as they work mainly work for them will provide the app with the best-updated version for the app. Deciding the MVP Features: Another big issue is this where the restaurant app development company will associate will be able to solve in determining the MVP features to add in the application and which to leave. MVP also impacts the cost of food delivery app development. Solution: Your partnered company will assist you in developing an MVP for on-demand food ordering platform that would raise money for your business. 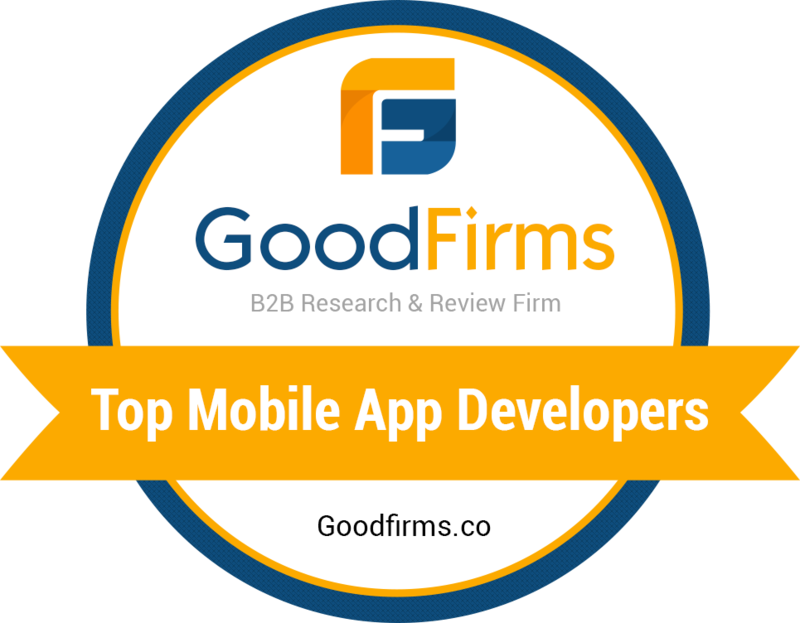 Identifying the right mobile app development firm that will convert your idea into a fully functional business app is difficult. There may be many questions you need to ask before hiring the best food delivery app development company. Though it was a time taking one, recognise the best on-demand app development company along with the best on-demand developers to convert your dream to reality so that you can serve in this competitive world. After all, said and done, now the time has come to look into the costing. How much does it cost for the development of on-demand food delivery app? Here comes the actual concept to talk that you are waiting. 8. Cost estimation to develop an on-demand food delivery app? Another question that is familiar for every startup owner: how much does it cost for development on-demand food delivery app? 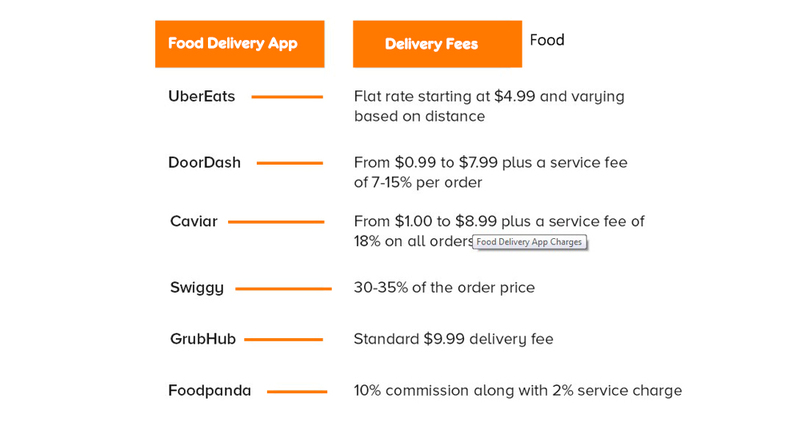 The cost of developing the food delivery app may vary depending on several factors. Extension Functionality: A basic app with standard features will be cheaper. However, if the app needs any other advanced features, then the price for building the app will increase. Mobile Platform: The app owner needs to choose whether he wants to develop either Android food ordering app or iOS food ordering app for his business. Design: The design can also influence the cost of the app development. If the model is complex, then it will lead to a bit higher price. That’s the reason the cost of the app will be different in each particular case. Finally, pay attention when choosing the restaurants and delivery partners. They become the foundation for your success or lead to the ruin of your business. It is better to start with fewer committed partners to guarantee that you can afford your services at a high level. Developing an on-demand food delivery apps for restaurants will be a tough task as the competition is fierce. At the same time, since you are going to provide additional business opportunities both to restaurants and delivery services, you may get their support. Our mobile app developers team will be delighted to assist you with such a project. Come with your idea to our experts, and Krify will consult you on everything – market analysis, MVP creation, budget optimisation. You can even depend on our skilled developers to build a unique on-demand application that will bring you to recognise and get popularity. Krify is one of the leading On-demand food delivery app development company in India as well as UK.